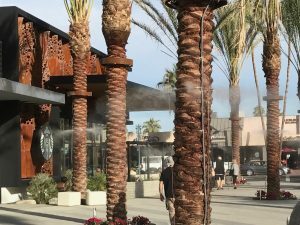 Koolfog commercial misting systems, often referred to as misters or cool mist systems, use high pressure, pure water, misting and misting fans to enhance outdoor environments making them more comfortable, functional, and inviting. Misting Systems for Restaurants, Resorts, Golf Clubs, Schools and more. Our commercial misting systems are based on the principle of air moving past water causing water to evaporate. The outdoor heat, necessary to cause evaporation, actually draws from the air temperature and cools the surrounding area within seconds. Our mister systems do this by atomizing high-pressure water via specialized misting nozzles that produce a fine mist or dry fog that is perfectly sized for evaporation. When evaporation occurs, temperatures drop. Koolfog’s commercial misting systems, humidification systems, odor and dust control are engineered with a unique mix of industrial-grade components including high-pressure misting pumps, stainless steel atomization line, a variety of misting nozzle types, misting fans, and unique cooling modules that work in-tandem or independently of a traditional misting system to provide the ultimate cooling experience for any business. Koolfog’s pure water, high pressure fog systems are considered an indispensable, yet unique, addition to any landscape architect or contractor’s resources. Fogscapes, or landscape fog effects, can be used to highlight architectural focal points and add a layer of intrigue to any landscape or outdoor environment. 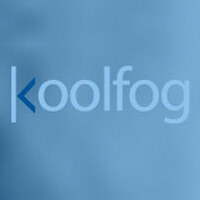 Koolfog’s fog can create a look of dense fog, precipitation, low lying landscape mist or smoke. This is directly due to the particle size that is emitted from our fog nozzles. Because the particles are lighter, they naturally drift, collect and build on each other, rather than evaporate. The end effect is stunning. Koolfog’s fogscapes are an innovative solution and a part of Koolfog’s outdoor atmospherics solutions, allowing for the transformation of outdoor spaces into appealing, inviting and captivating environments. We offer quality products, design assistance, and superior service for any outdoor experience. 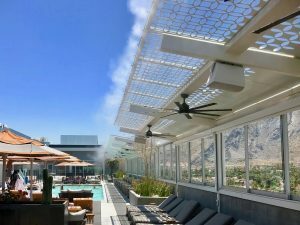 Koolfog misting fans are viewed as a unique but essential upgrade to outdoor environments by architects, developers and general contractors involved in commercial projects including resorts, retail centers, restaurants, theme parks, schools, parks and recreation, golf resorts, and cannabis facilities. Customers look to Koolfog’s misting fans to provide a dry mist to control climates for plants, animals and durable goods in dairies, equestrian centers, greenhouses, warehouses and manufacturing facilities. 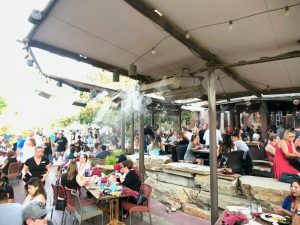 Outdoor misting fans and humidification solutions are part of the Koolfog family of outdoor cooling and sensory products and services. We create complete comfortable outdoor atmospheres with quality products, detailed services and unique solutions. For the local market we supply rental misting fans for local events to cool customers, volunteers, animals, vendors, etc. Event customers include private parties, the Indian Wells Tennis Garden, Coachella Valley Music and Arts Festival, and many country clubs and hotels providing event services. As the temperature heats up, our products are a welcome compliment to your event guests’ outdoor experience or your hard-working service staff. 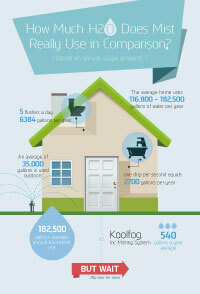 Koolfog’s Portable Fans are configured to operate as fully contained standalone misting fans. Each Portable Fan is equipped with a fan, misting ring, Koolfog high-pressure pump and a rolling cart for easy transportation. Please call us at 760-321-9203 to reserve your misting fans for your next event.